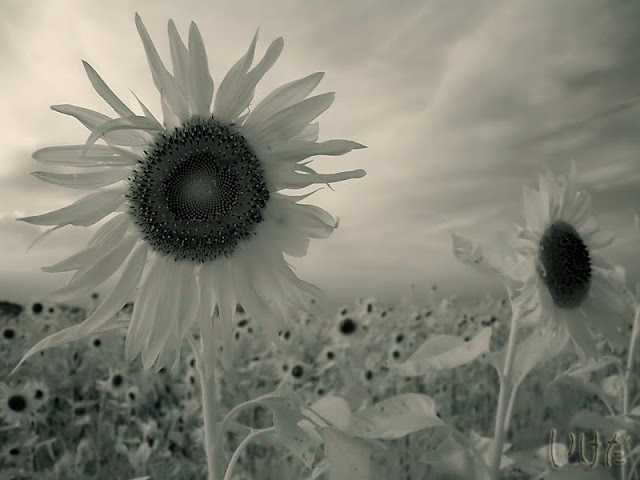 This was taken with an infra-red customized ancient Olympus camera. But because I couldn't stand the creepy look of the original image, I made it somewhat black-and-whiteish. Now, how cool is that!! Just beautiful — like sunflowers on the moon! I have more infra-red pics, but they are just too creepy to post without some filters applied. It may look like a weird photo but I really like it.